It is one thing to want to escape an approaching hurricane but this new idea being worked on by the Japanese might is something never heard of. A Japanese hydraulic manufacturing firm is working on a plan to stop hurricanes by using submarines! The firm Ise Kogyo says that it has deviced a clever method where a fleet of submarines positioned in the path of the hurricane can effectively kill the hurricane or divert its path. Ise Kogyo’s idea to stop the hurricane is based on the fact that hurricanes gain strength from warmer ocean waters. The temperature needs to be 80 degrees Fahrenheit for the hurricane to keep spinning. 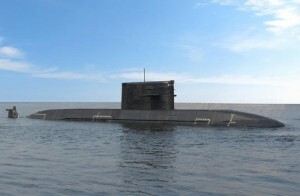 The company plans to setup modified 20 submarines right in front of the typhoon with each vessel capable of shooting 480 metric tons of cold water per minute to the ocean surface. The company claims that this can bring down the water’s surface temperature by three degrees which can kill the hurricane. The company has already been awarded patents in India and Japan for water-pumping submarines. Predicting the path of the hurricane is a major issue to deal with however including the cost for the whole operation and the risk it might involve. This idea might work but considering the resources involved and the risk, is it really worth it? I’m pretty sure their idea won’t work because they would have to change the tempiture of the whole ocean but all the cold water will sink to the bottom because warm air or water will float to the top and sit on top of the cold water or air. This is science do yall not know science?